April is foot health awareness month. Keeping your feet healthy is extremely important. If your feet are injured it can be difficult to do daily activities. If you work on a construction site, chances are you are going to be spending a lot of time on your feet. If you stand all day at work, you may experience sore feet and swollen feet, ankles, and calves. Make sure that you are stretching your ankles and calves. Be sure to stand with good posture. Standing with poor posture can cause injuries to your feet. Try to bear your weight on the balls of your feet with your knees slightly bent and feet shoulder width apart. Shift your weight from your toes to your heels and from one foot to another when standing for a long time. Taking care of your feet can prevent diseases, injuries, and other foot problems. If you have a foot problem, make sure to tell your doctor. Wearing the wrong boots can cause a lot of feet problems. If you’re working on a construction site, you want to choose boots that are both comfortable and provide adequate protection from jobsite hazards. When purchasing boots, make sure that they fit well and provide support. Shopping for shoes at the end of the day when your feet are their largest will help you find boots that fit the best. Also make sure that the shoes are sturdy enough to hold up when walking or standing a lot and the provide appropriate grip. TSC Southeast is a safety consulting company serving South Florida. We provide construction safety solutions to make jobsites a safer place. 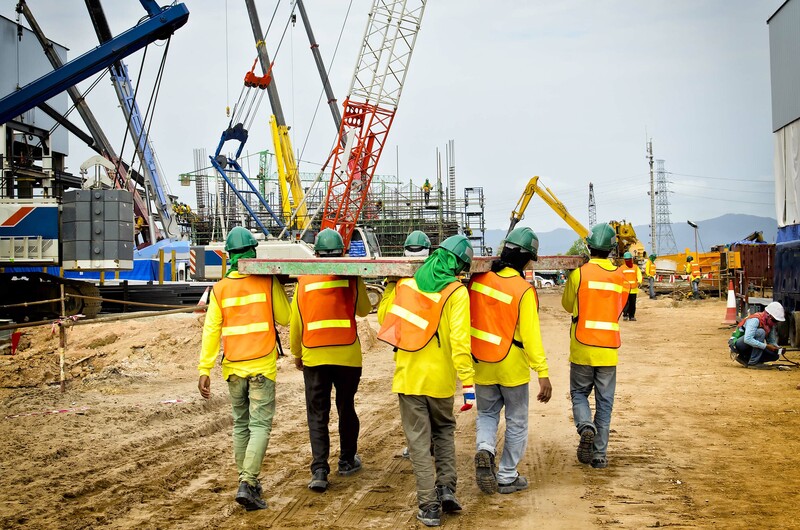 TSCSE also has skilled construction laborers available if you need third party staffing. At TSCSE, we understand the importance of making sure your employees are outfitted with the proper work gear. We provide PPE for construction sites including fall protection, safety glasses, head and face protection, and more. We know how important it is to wear the correct work boots. If you need safety foot wear, check out Safety Supplies Unlimited to find boots that are both comfortable and protective.